FOR RESERVATIONS OF 11 OR MORE WE CONSIDER YOU A GROUP BOOKING, HAVE A LOOK AT OUR OPTIONS FOR YOU HERE. Opened in 1995, Circus Circus cafe and restaurant is a local favourite nestled in the heart of Auckland’s Mt Eden Village. We offer fresh, local fare in a unique, circus themed setting paired with exceptional service and an unwavering commitment to customer satisfaction. Our unique venue comprises of several different dining areas that accommodate for all, from intimate dining, to group bookings and more. Our seasonal menu’s have an extensive range of choice, perfect for groups of all shapes and sizes. All our dessert are made 100% made In-house. We aim to inspire, and our quirky cafe does exactly that. Not to mention, we even have cart hire options to spice up your functions and events! For candyfloss and popcorn. It’s no wonder that we’re a firm favourite in Mt Eden, and one of the top cafes Auckland has to offer! Our ongoing commitment to fun, frolic, and great food keeps us firmly on the list as one of Mt Eden’s local favourites. Prefer to make your reservation via phone? Call (09) 623 3833. Book your “Main Event” with us! Whether you’re looking to celebrate a special occasion, or you just need a private space for a meeting, we’ve got room in the Big Top for you! 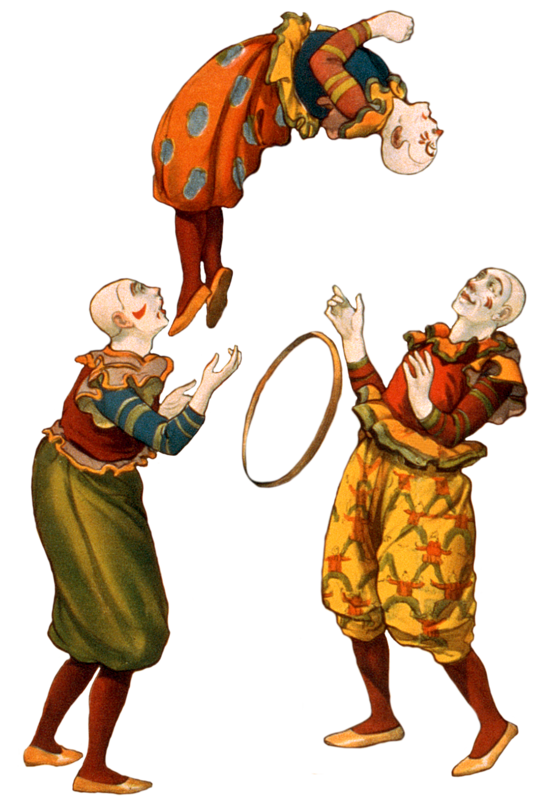 Our Circus team is excited and delighted in working with you to daze and amaze the guests of your show. Here at Circus, we aim to please. Our functions coordinator will make sure that you will have the right space to entertain your guests comfortably. We will work closely with you to create a menu that can accommodate all your guests needs. Once all the big decisions have been made, the team will take care of the rest. All you have to do is sit back, relax, and enjoy the show! Situated right at the top of the stairs is the cosy Back House. The Back House is perfect for exclusive seated bookings of up to 20 guests. The main doors close giving you and your guests some privacy for intimate events. With the décor of the brick fireplace and surrounding vintage circus props, you and your guests are taken back in time. The Side Show Room is hidden… to you guessed it, the side of the tent. 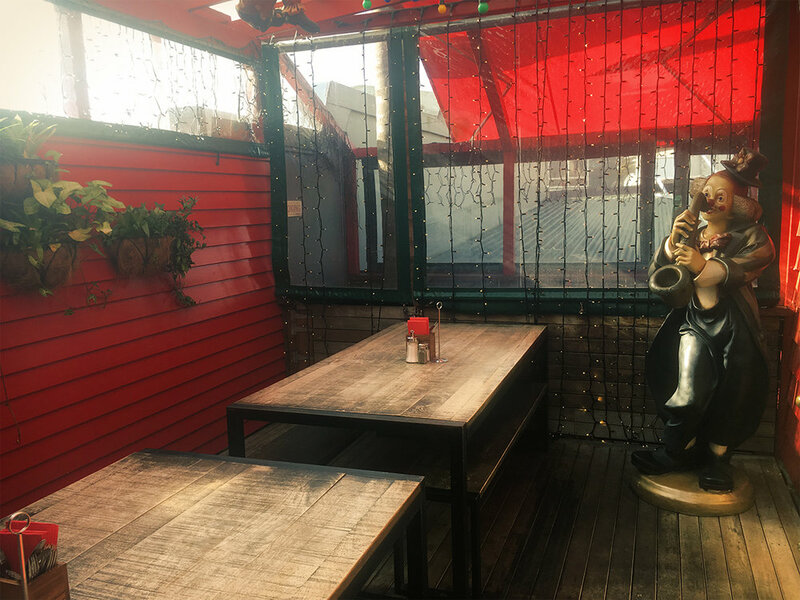 This space with the adjoining Side Show Deck can accommodate up to 35 people seated or is a great space for drinks and nibbles for up to 50 guests. If you’re having a private meeting or party, you’re welcome to close the frosted glass doors to keep others out of the show. The Side Show Deck, which is situated off the Side Show Room is available for seated bookings of up to 16 guests. This area is outdoors, but completely covered. With its bench style seating, it gives you that casual picnic feeling. This area can also be closed for privacy and is great for families with little ones as, you have some room to spread out. Build your own cake ! Did you know you can order your dream cake for any party at Circus? Our talented Empress Wu, loves creating the perfect cake just for you! Our signature cake is covered in multi coloured sprinkles because nothing says party quite like all those happy colours popping in your mouth. You can customise all our cakes even further to make yours truly unique. Are you looking for something more modest? Have a look at our beautiful semi-naked cake with chocolate drizzle for instance. It's an absolute hit! Candyfloss, popcorn and toffee apples await! I think you will all agree our unique candy floss and popcorn carts are truly something special. These custom made side stalls, the ‘Side Show’, were commissioned by us to stand out from the crowd. Who doesn’t love a carnival? Jazz up your functions and events with a fun circus theme by adding one of these carts to the occasion. Our popcorn and candy floss carts act as a spectacular prop that help theme any occasion! Both kids and adults alike love candyfloss, and we can even customise the colouring to match with the colour scheme of your function. Add a bit of fun and magic to your event, dazzle your guests and let us help you make your functions and events that little bit more memorable. You can also hire the Side Show with an experienced operator to ensure all your guests enjoy all the fun of the fair. The Side Show is supplied with unlimited candy floss and popcorn, not to mention toffee apples can be ordered prior to the event! We offer the cart with or without an experienced operator. Our average hire time is 3 hours. We will always try to work towards your plan. You can even hire the cart up to multiple days. You can hire the candy floss and popcorn cart separately. When would you like to use the cart? Thank you for sending us your enquiry! We will be in touch with you shortly.